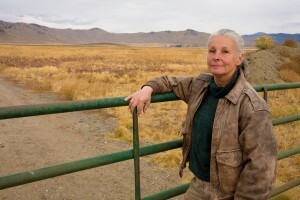 Nearly one-third of U.S. farmers are women, yet their contributions aren’t well known. The Rise of Women Farmers and Sustainable Agriculture, a new book from the University of Iowa press, aims to change this. Women are diversifying agriculture – not only demographically, but also in terms of production practices. Within the next two decades, they “may own 75 percent of transferred farmland” according to the American Farmland Trust, with enormous implications for American agriculture. From innovative business models to a deep focus on stewardship, women are changing the face – and future – of farming. As their numbers grow, women farmers are finding and building support networks. Last year, for example, the USDA’s Agriculture Deputy Secretary Krysta Harden announced the creation of the Women in Agriculture Mentoring Network. The book argues that more needs to be done to unlock the full promise of these new farmers. Dr. Carolyn Sachs, a professor in Penn State’s College of Agricultural Sciences, is the lead author of the book. I sat down to discuss the agricultural transformations underway, how to create opportunities for new farmers and the implications for land stewardship.